Home / Hip Hop / Missy Elliott / Rolling Stone / Super Producer / Timbaland / Missy Elliott and Timbaland featured in Rolling Stone's "100 Greatest Songwriters of All Time"
Missy Elliott and Timbaland featured in Rolling Stone's "100 Greatest Songwriters of All Time"
"I write almost as if I'm in conversation with somebody." 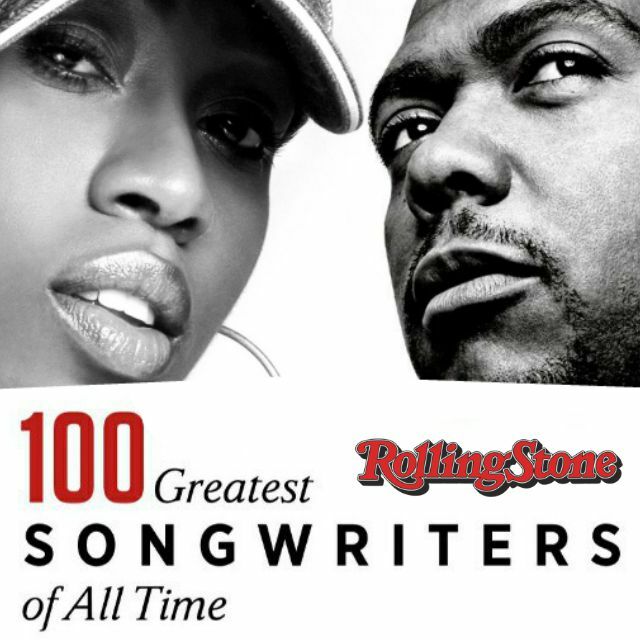 Rolling Stone Announces Top 100 Greatest Songwriters of All Time, Missy & Timbaland Featured On The List and Peaked at #96 The list has a balance of old school greats: Marvin Gaye, The Bee Gees, Buddy Holly, Chuck Berry, Lennon, McCartney- they are all there. But equally the new kids on the block are holding their own: Taylor Swift and even Mr. Kayne West. The Irish manage to make a dent with Bono and The Edge in at a respectable number 35 while Van Morrison slides in at No.22. But undisputedly, the list is topped by the much adored Bob Dylan. Dylan reigns at the op spot #1 - His prolific career led him to the top and his timeless songs keep him there.